A plane that is attempting to be the first to fly round the world without fuel successfully took off on the first leg of its journey from Abu Dhabi this morning. The Solar Impulse 2 (Si2) is capable of flying both day and night purely powered by 17,000 solar cells installed along its both its wings. 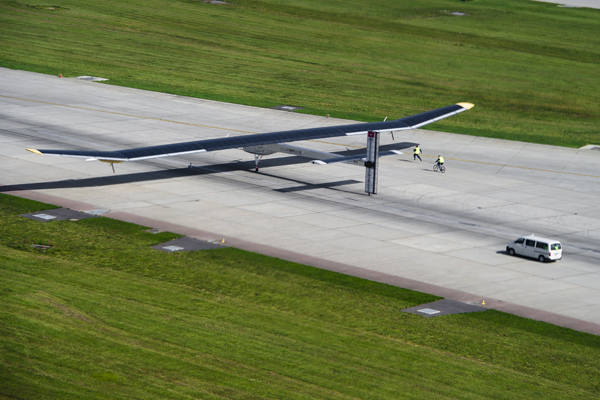 The plane will travel 35,000km around the world in 25 days over the course of the next 5 months. The project founders are looking to take advantage of the publicity generated by the journey by launching the #FutureIsClean movement in alliance with Richard Branson. The movement aims to create the largest petition ever, in order to convince governments to tackle climate change at the UN conference in Paris in December. 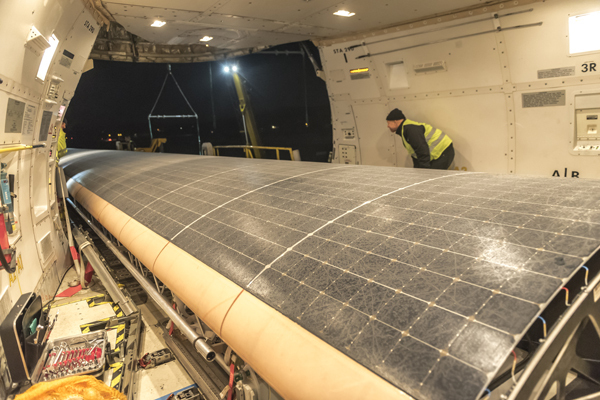 "Only significant support will push governments to replace old polluting technologies with clean and efficient technologies," Si2 project co-founders and pilots Betrand Piccard and Andre Borschberg said in a statement: "This is what we want to create throughout our solar powered round-the-world flight." "If there are technological solutions to fly a plane day and night without fuel, imagine the potential of these technologies in our daily lives, to achieve energy savings and reduce CO2 emissions. This would help create jobs, develop new industrial markets while also protecting the environment". Piccard and Borschberg will take turns spending up to five days in the cockpit continuously flying before swapping over. 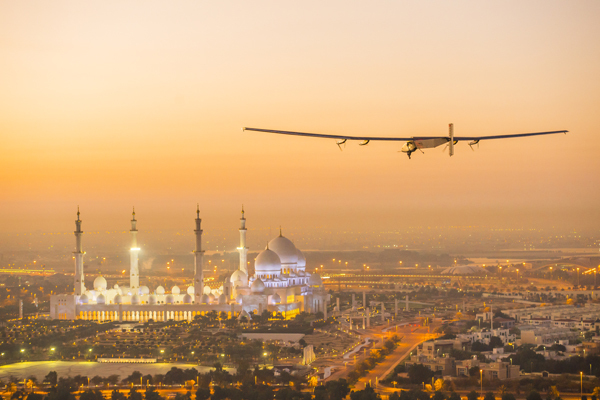 The Si2 will visit Oman, India and China before crossing the Pacific Ocean to the USA. It will finally stop in Southern Europe or Northern Africa after crossing the Atlantic before it returns to Abu Dhabi. The plane's progress can be followed on their website, keeping up to date with the flight path, its legs, and the life of the pilot on board. The coverage includes a virtual cockpit providing the altitude and speed of the plane and allows viewers to follow the conversations between pilot and the Mission Control Centre.